According to the Insurance Institute for Highway Safety (relying on data from the U.S. Department of Transportation), crashes involving large trucks claimed 3,602 lives nationwide in 2013. Of these deaths, 16% were truck occupants, 67% were in another vehicle, and 15% were pedestrians, motorcycle riders, or bicycle riders. While big-rig deaths have generally declined since hitting a high in 1979, the number of deaths has risen fairly steadily since a low in 2009. 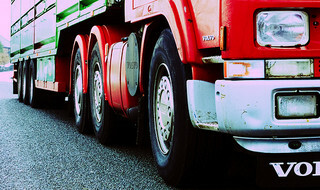 What causes big-rig accidents and large truck fatalities? The IIHS points to the sheer size of trucks and the resulting vulnerability of smaller vehicles. Trucks can easily weigh 20-30 times the weight of a passenger car and higher ground clearance can result in smaller vehicles under-riding the trucks in a collision. The size also contributes to reduced braking capacity, another threat the IIHS identifies as a factor in big-rig crashes. A loaded big-rig can take 20-40% farther to brake completely than a passenger car with the disparity increasing in wet conditions and/or on poorly maintained roadways. The IIHS also lists truck driver fatigue as a crash factor with current regulations allowing truck drivers to drive stretches of up to 11 hours with up to 77 hours permitted in a seven-day span. According to the IIHS, drivers frequently violate these regulations and work even longer hours. Notably, big-rig drivers involved in fatal accidents rarely have elevated blood alcohol levels. Another important study of large-truck accidents was conducted by the Department of Transportation in 2007 using data from April 2001 through December 2003. 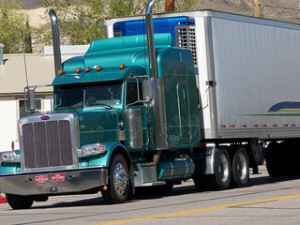 According to the report, the following ten factors were the most commonly reported issues impacting big-rigs and/or their drivers involved in crashes: Brake issues; Problems involving traffic flow (e.g., earlier crashes, congestion); Prescription medication use; Travelling too fast for conditions; Driver unfamiliar with roadway; Problems with the road/environment; An event requiring a stop (e.g., red light) prior to the accident; Over-the-counter medication use; Inadequate surveillance; and Driver fatigue. If you have been injured in a crash with a big-rig truck in Oakland, San Francisco, Santa Rosa, or elsewhere in the Bay Area, our experienced Northern California truck crash law firm may be able to help you. We explore all possible sources of compensation, including the individual driver, trucking company, vehicle manufacturer, service companies, and government bodies responsible for road conditions. We must hold truckers and all those involved in the trucking industry accountable when their negligence or poor choices lead to injury or death. Call today to learn more. Commercial Truck Accidents and Legal Liability: Who’s Responsible When Trucks Cause Injuries?